Our program begins with a careful assessment of the individual and their life history through close consultation with the family. 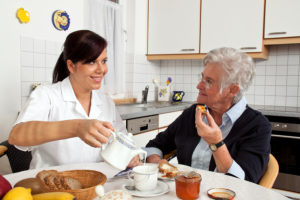 All staff carefully selected and mentored by supervisors to deal with dementia behaviors in a manner that helps reduce agitation and anxiety. There is a daily briefing between shifts, this means incoming staff learns about any special issues a resident is having on any given day.